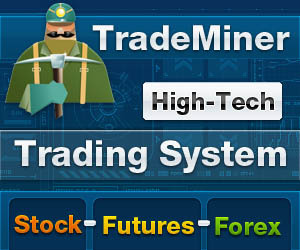 Stock option trading is not an advisable endeavor if you are new to the whole stock market game. If you delve into it unprepared, chances are, you may lose a lot of money as fast as you can make it. But doing your homework and starting out from the very basics can help groom you to be able to play in this complicated game. After all, this is a powerful investment tool if you plan to stay long in the stock market business. First and foremost, it is important that you do not confuse an option with an actual stock. A stock option is actually a contract that gives the rights to either buy or sell the securities or commodities of a certain stock at a fixed price and within a specified time. When you trade options, you are basically just trading your privileges for securities or even certain merchandise involved, but not the stock itself. These stock options are actually very important in the market because they provide advanced investors with extra opportunities that could pave way to better returns in doing business within the stock market. Investors usually make use of these rights to evade from price declines, to give insurance for the price of a future purchase, or even to help them speculate future stock prices. There are two kinds of options call options and put options. Call options basically give purchasers the privilege to buy underlying stocks, while put options allow the purchaser to sell the underlying stocks. If you already own an option, you can exercise buying or selling its stock any time on or before its expiration date. This would allow you to trade the stock at a set price regardless of what the current market price is for that particular stock. And thus, you can have the privilege of buying or selling stocks in cases wherein you fear that prices might get too high or too low for you. In this way, you have certain degree of insurance on the investments that you make. A lot of investors simply make trades without any intent of possessing the underlying securities. In trading options, also take not that the pricing may be extremely complicated. But it will basically depend on two major factors the pricing of the underlying stocks and the amount of time remaining within the contract. The price for principal stocks that accompany the options directly affects the price of the option. If the demand for the stocks is high, the price for the options will also go up and vice versa. The amount of time left within the contract for an option also determines the price. As time expires, the price for the option may go down as it may become less desirable. Take note that in the trading options game, investors use various trading strategies, which may all be very risky and complicated. And so, to become really successful in your attempts to profit from option trading, make sure that you at least familiarize yourself with the different strategies and consult experts who can give you good and reliable training. Stock option trading can be a very strong investment tool for anyone who does business in the stock market. However, keep in mind that for someone who is not as familiar with the different strategies and if you are new to the stock exchange, this may be a very risky endeavor to take on. And so, utmost caution for beginners is highly advised.